It is a town in the province of Verbano Cusio Ossola, located near Lake Maggiore, on top of a promontory on the border with Stresa. The origins of the old centre are evidenced by the buildings of the center, that feature porches and balconies, several beautiful mansions of the XVIII and XIX centuries that have hosted aristocrats, writers and intellectuals. 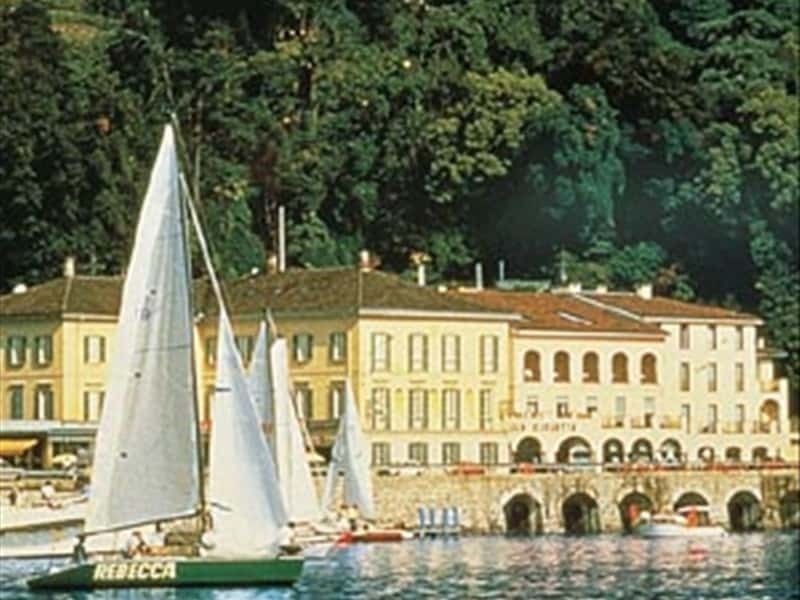 It is an important tourist resort with an elegant promenade and a touristic port on Lake Maggiore. Preferred destination for famous people like: Hemingway, Flaubert, Goethe, Wagner, Stendhal, Toscanini and Verga. The main centre probably developed around a rural chapel, built in year 1000. A text of the late XII century, an edit of Pope Innocent III, which documents a case over the rights over Belgirate and other possessions between the Abbot of San Donato and the Archbishop of Milan. This area was certainly the site of a settlement or agricultural colonies. The excavations carried out in the 60s have unearthed the remains of an ancient pavement, part of an apse and the base of the altar of an antique church. - the Parish Church of the Purification of Mary, also known as Old Church, which dominates the village. It is flanked by an original Bell tower, 18 meters tall and in Romanesque style. Dating back to the XI century, the base features a square plan with mullioned windows of various sizes. The building was enlarged over the centuries and features a portico of the XVII century and frescoes from the school of Luini. From the courtyard it is possible to enjoy a wonderful view. - the Oratory of St. Paul stands on a hill, surrounded by a clearing and the woods of the Motta Rossa. The origins are difficult to determine, surely this is a very old building, already named in the text of the XVIII century. - the New Church, entitled to San Carlo Borromeo, proclaimed Saint in 1610. The construction began in 1611 and preserves paintings by Giovanni Battista Calzia dating from the XVIII century, a large XIX century organ of the craftsmen Bossi, frescoes and stucco Morgari Secchi. - Villa Conelli of the XIX century. This town web page has been visited 13,345 times.